How can PUMA become more relevant amongst an 18-24yr old demographic and gain a competitive edge in the marketplace? As part of the integrated advertising campaign ‘After Hours’, we negotiated and executed a partnership for Puma with The Warehouse Project. PUMA Social was all about the playfulness in after hours sports. From ping-pong, ten pin bowling and foosball to darts and karaoke, PUMA gives a nod to the athletes whose goal of scoring a phone number precedes the goal of scoring a bull’s eye. 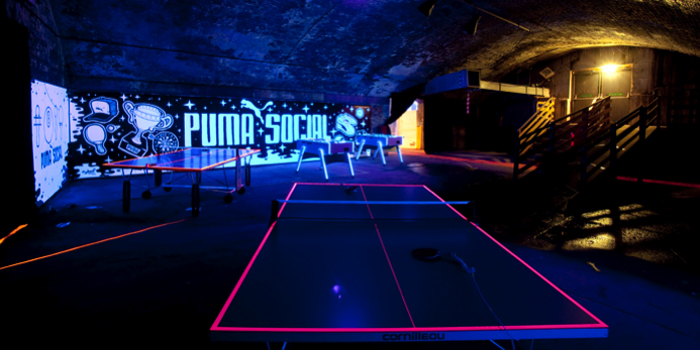 The Warehouse Project presented the ideal strategic partnership – enabling PUMA to engage with their core audience whilst participating in their after hours activities! 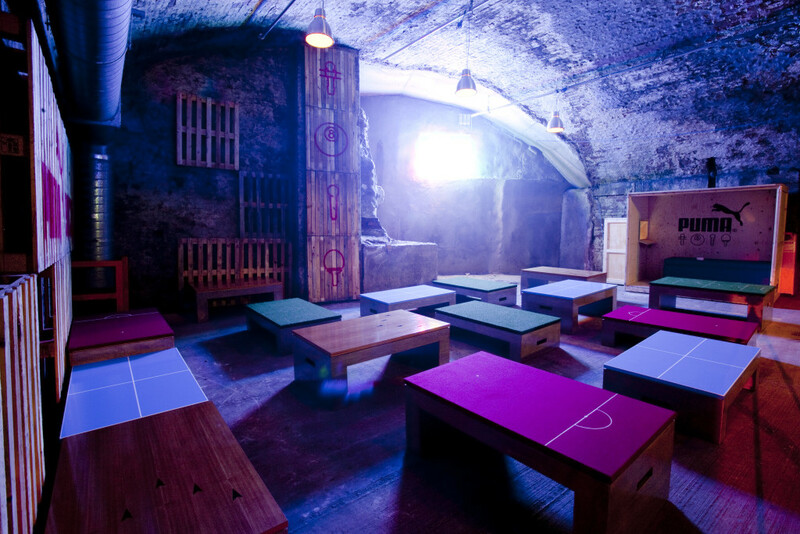 PUMA transformed the chill-out area of The Warehouse Project into a neon inspired after-hours sports centre for unconventional athletes, filled with unique branded furniture and activities such as table foosball and ping-pong. The partnership also enabled them to run highly sought after consumer promotions in-store and through media partnerships over the series. The partnership saw increased levels of engagement with the brand through social, and importantly direct up-lifts in store footfall in the North West region surrounding the event in Manchester.